When Craig Widdison saddles up his 2 Wagga runners on Thursday, August 31, improvement will be the main objective as the runners who have drawn well compete under fine conditions racing on a soft (5). The first stable entrant will compete in the Ladex Constructions 2017 Ian Read Sprint over the 1200m with Baby Don't Cry to be partnered by Chelsea McFarlane jumping from barrier 2. Baby Don't Cry was last seen racing at Wagga, finishing third in the Wagga Sprint with Patrick Scorse aboard competing on a heavy (8). Before that, she won a Wagga Handicap and gets reunited with Chelsea McFarlane here. In her last effort she chased moderately through to the concluding stages after being beaten early for speed, she's drawn well here and a bold showing would not surprise. The final stable entrant will compete with Blaze Of Glory to run in the Vale Richard Freyer class (1) combined maiden plate over a mile with the runner to be partnered by Brock Ryan, jumping from barrier (4). Blaze of Glory has not worried the scorer on two career outings finishing seventh of 12 and six of 14 respectively. Last start she loomed at the top of the straight and was given every chance by Nick Souquet, she battled on without gears throughout that event. She is drawn nicely here and should be better for her two recent runs, the last run on a heavy 8. 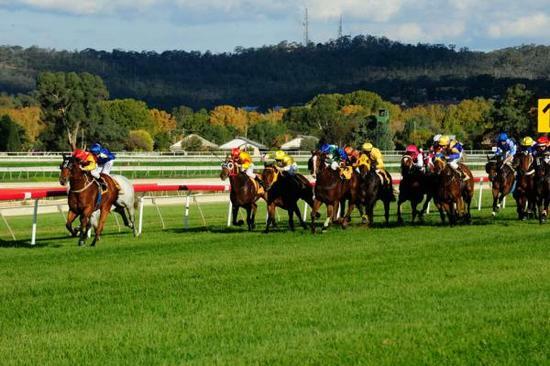 Best of luck to all connected at Wagga Murrumbidgee on Thursday.